Why rent a car and go camping in Japan? Car-driving culture is civilized, common and convenient in Japan. From lighter cars to large SUV, HYBRID and various models are available to borrow. Skiing, skateboarding, rafting, mountain biking (MTB), camping, etc. On weekends or holidays, even if you have no plans at all. 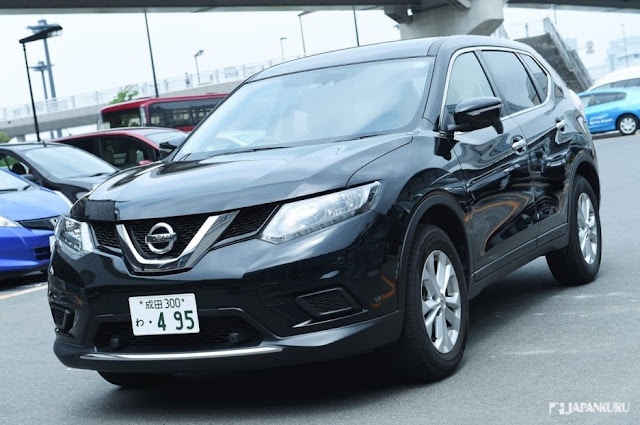 Active people are most likely to rent a NISSAN SUV to go for a short trip then! This time we are lucky enough to rent the latest NISSAN car!! 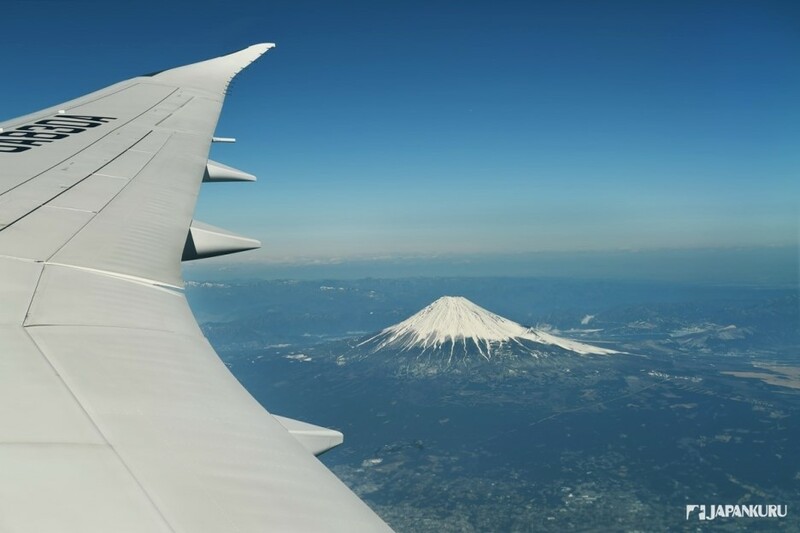 Mount Fuji is calling us!!! Yes!!! We are coming! Mt. Fuji is officially open on July 1 this year! 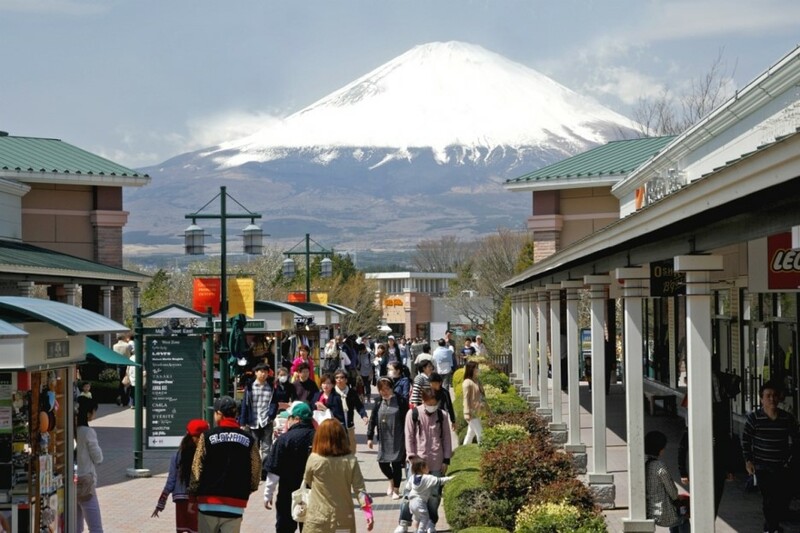 On this day, the symbol of Japan's Mount Fuji is open to climbers! 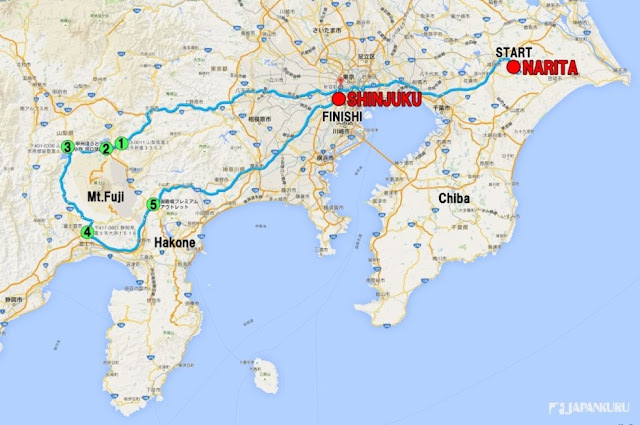 It is the period that climbers from all over the world waiting for every year. We feel like Mt. Fuji is calling us!!!! 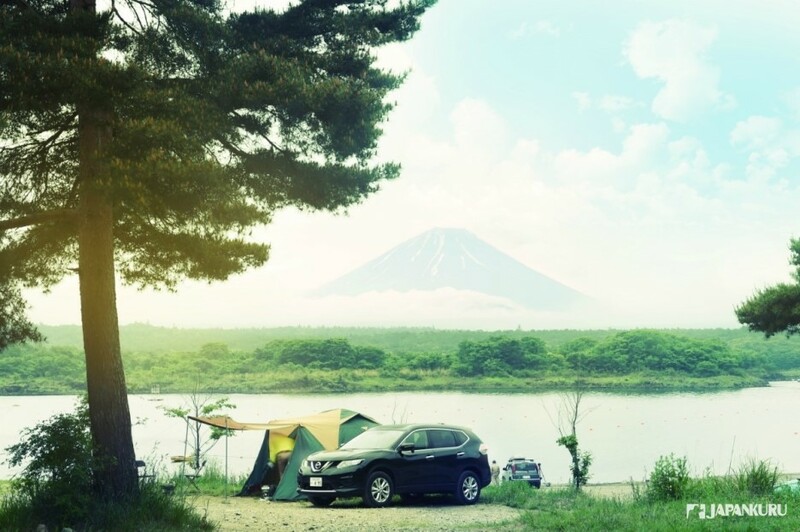 Let follow JAPANKURU, we would like to bring you to the camping trip this time!!! We are coming five lakes and Mt. Fuji. So some friends are worried about driving? 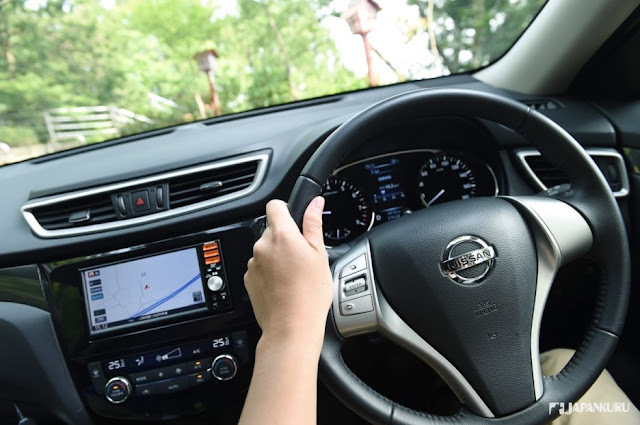 Once you have several essential points on your mind, (basically just 3-minute is enough to get used to it~), it is then easy driving. Safety traffic and civilized driving culture. 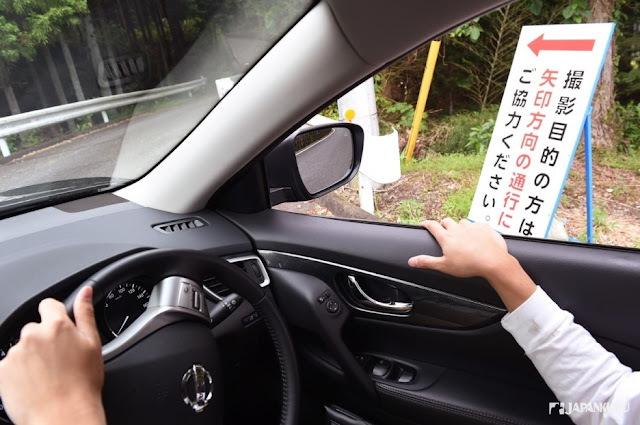 Why not everyone start a rental car driving in Japan? Quite reasonable to split the expenditure with friends together! Specifically, our trip starts from from Narita Airport and we will return the car in Shinjuku. In general, return a car at a place different to the borrowed place, will cost additional fee and also you can't borrow the ETC card as well (automatically pay toll). 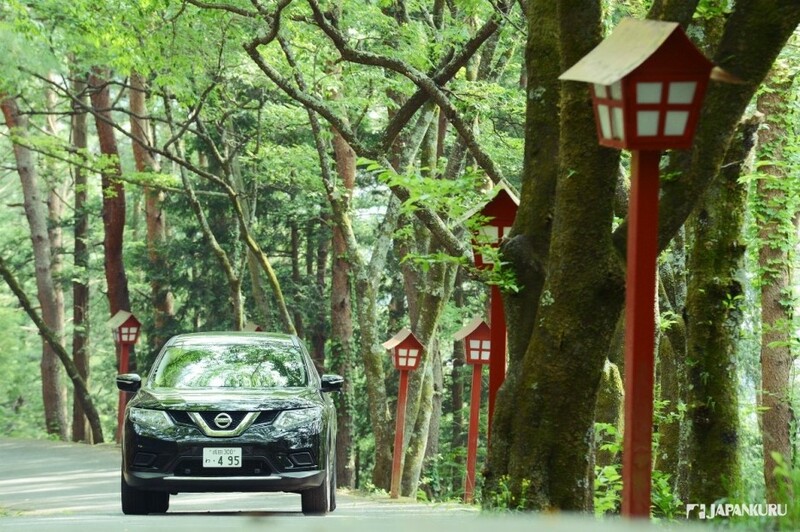 Therefore, it is recommended to plan your trip ahead. 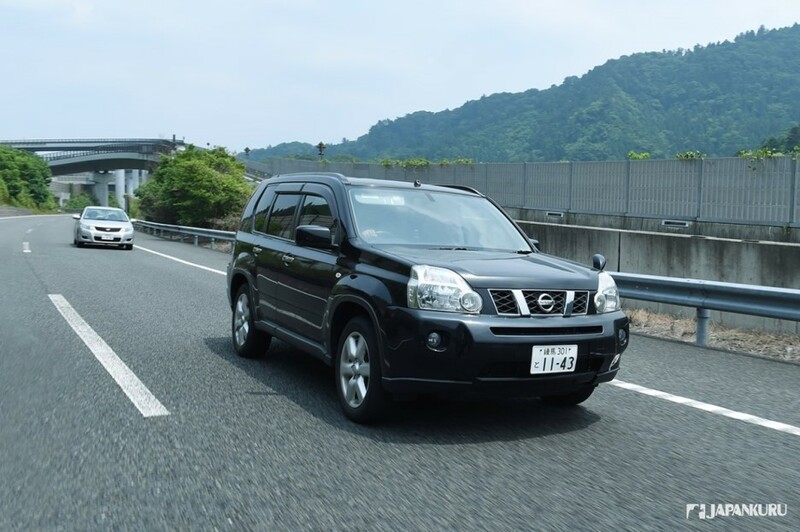 rent-a-car right away after landing Narita Airport. We really can't wait to see it!! last, going back to Shinjuku!!! What a fun real outdoor driving tour! What do you think about our rental car travel from Narita Airport? We are pretty satisfied with it! Okay! Let's see how we rent a car at Narita Airport! 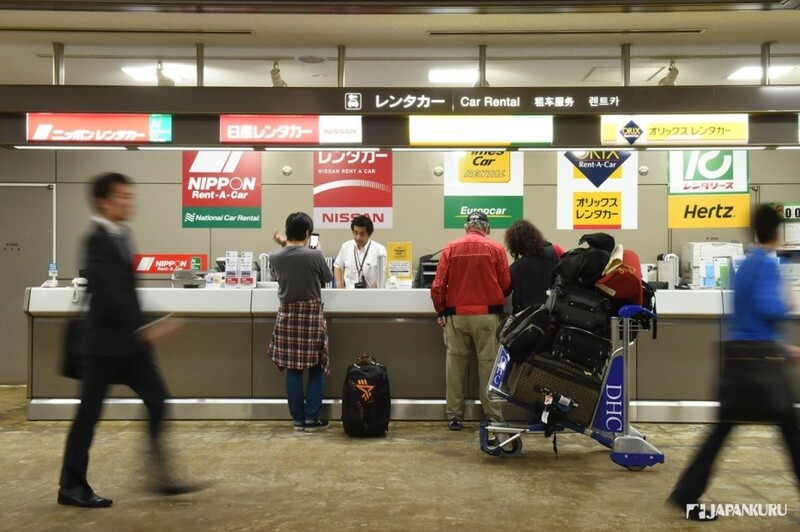 Nissan RENT-A-CAR counter is located at the right-hand side of Narita Airport Terminal 2.
then, fill out some documents. Basically, both reserved customers and customers just drop by directly on the day are acceptable. On weekdays, it has no problem even you don't make reservation. But of course, reservation is highly recommended. Enjoy the experience driving oversea with a high-quality Japan's car. 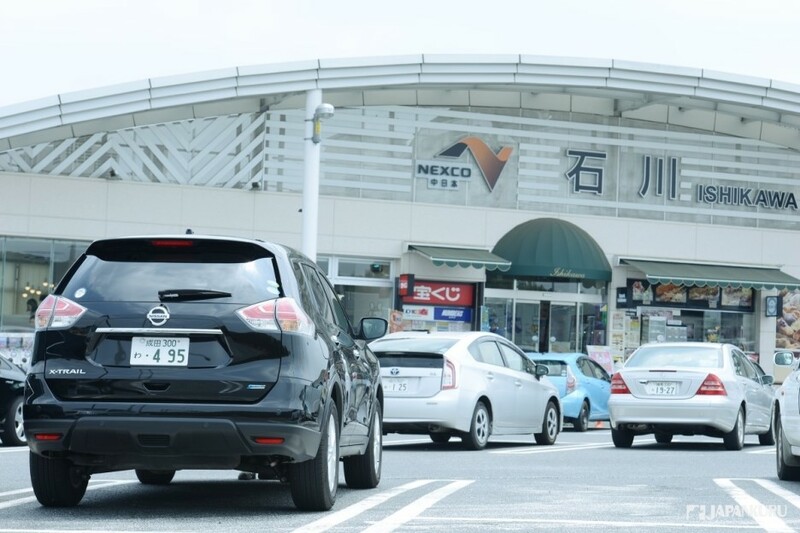 Actually, how many foreign visitors have rented a car here? there are a lot of visitors from Hong Kong. How about people from America and European countries? 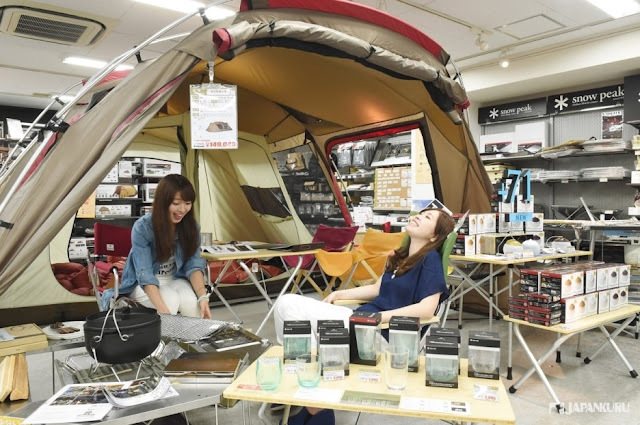 They are most likely to borrow a week to a month and travel around Japan. 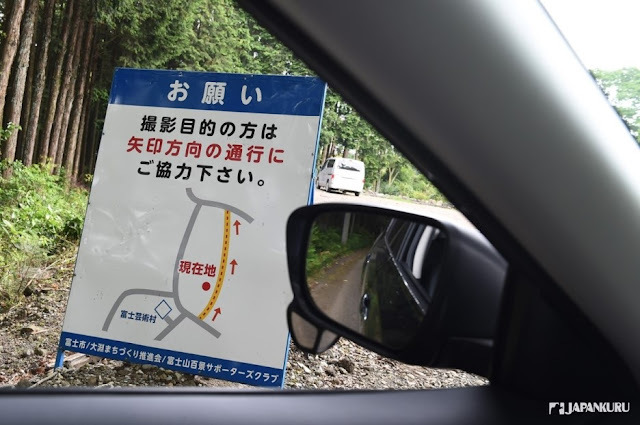 And it is amazing that accident rate is less among foreign visitors. 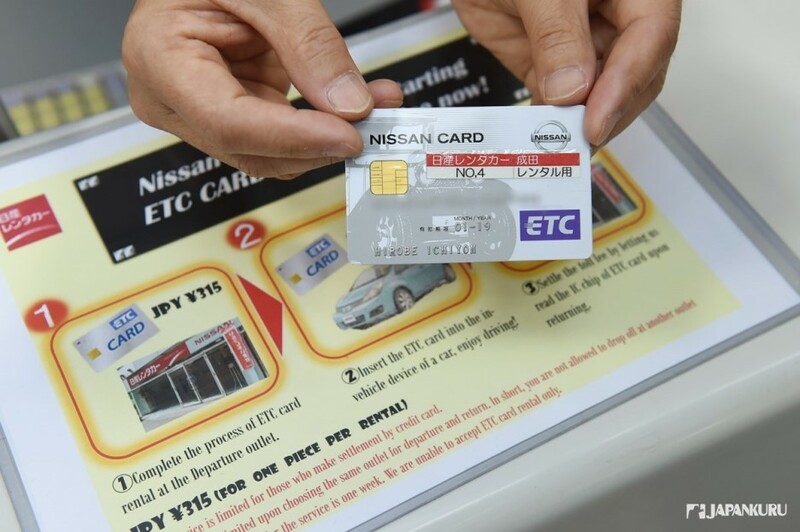 With this card, you can use ETC automatic toll collection system. 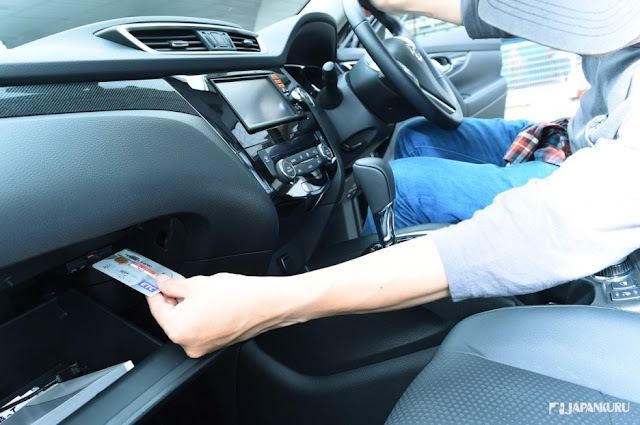 Of course you have to rent the card together with the car! 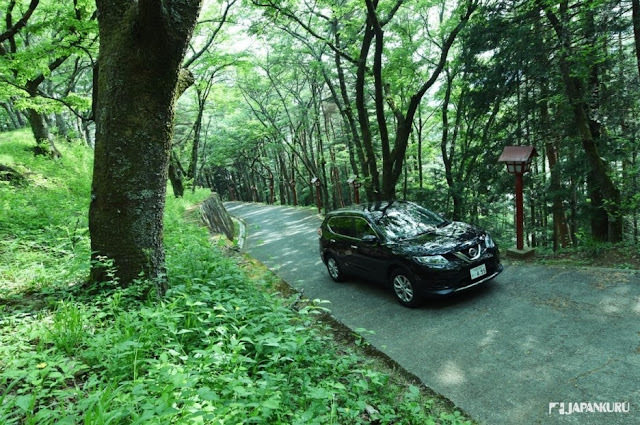 Fees: Just ¥ 315 when you rent the car together. With this card, toll fee will be automatically deducted at the toll gate when you pass by. Then, you can just bill it when you return the car! 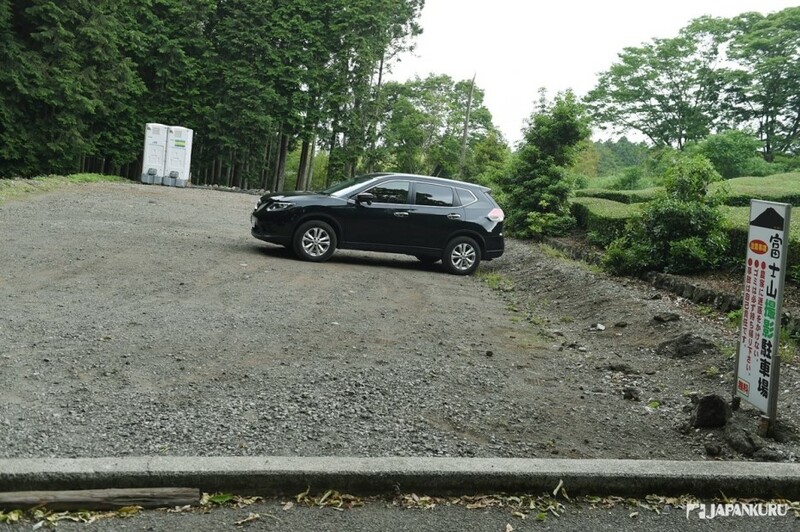 However, if you plan to return off-site, you can not rent this car. let us go and meet the "important" role in this trip! give a lot of people excitement! is different from the first generation of model. it is just a pizza delivery commercial. Although it is in Japanese, by just looking at it, you would know it. By the way, we are just interested in vehicle though. 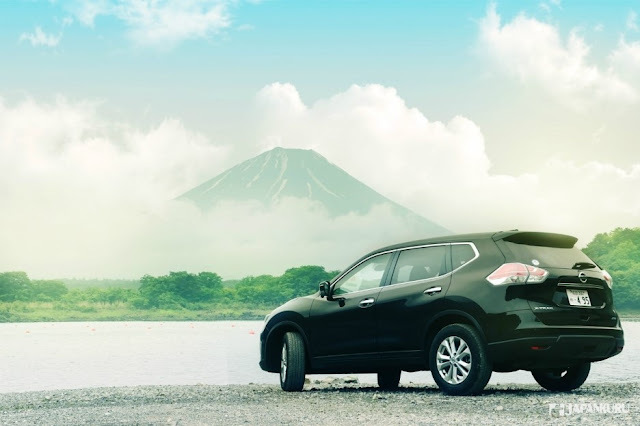 this X-TRAIL SUV is more likely for outdoor activities. 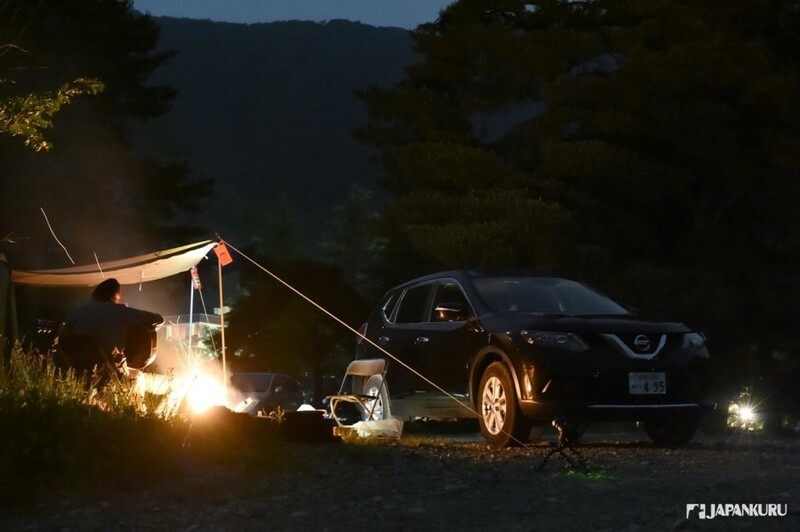 So it is a good choice for the ones who like surfing, family skiing and camping!!! 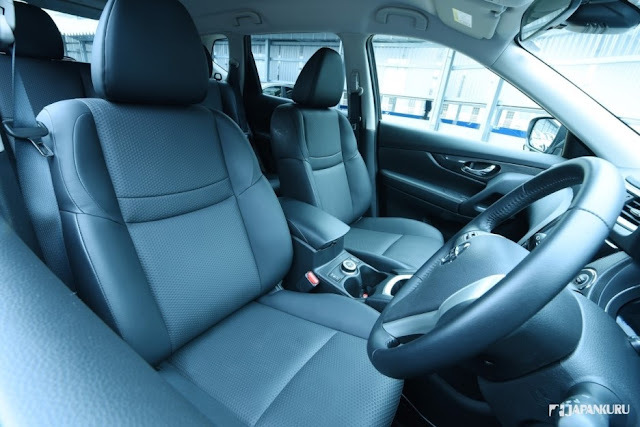 X-TRAIL's seat is waterproof / anti-sweat. Totally no problem for one night two days camping. ▲ Without moving the rear seats, there is a spacious space for storage! the trunk space will be easily filled by just few golf club sets. Different models will be slightly different about the slot positions. 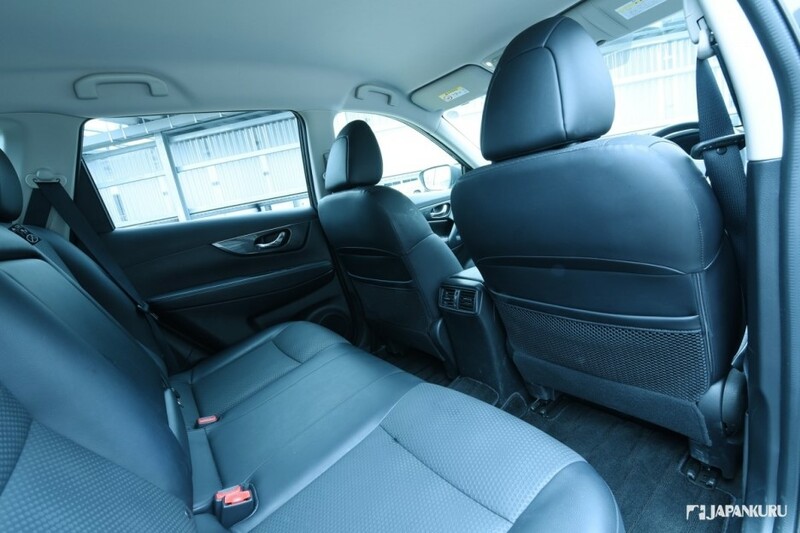 But most are located beneath the driver's seat or the co-pilot storage box. ▲ Positioning the destination by "phone number"
the most accurate way is to use "phone number." So this time, we have already checked most of the numbers!!! ▲ Highway all the way!!! Don't forget it is left-hand traffic! Follow the guidance of navigation, GO!!! If you use ETC, you can pass by with the speed 20km/hour. If you don't have the card, no worry! Just use the entry of this channel and pay by cash!!! If you have ETC card, you don't have to worry carrying a lot of changes. 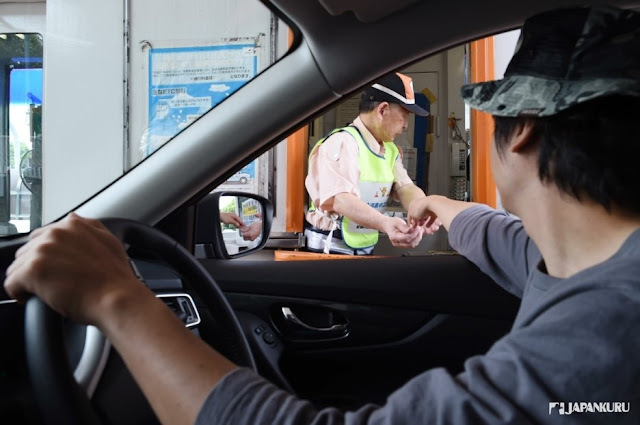 But it is a fresh experience of directly paying tolls like this. Don't forget to say "Thanks" to the staff at the gate. 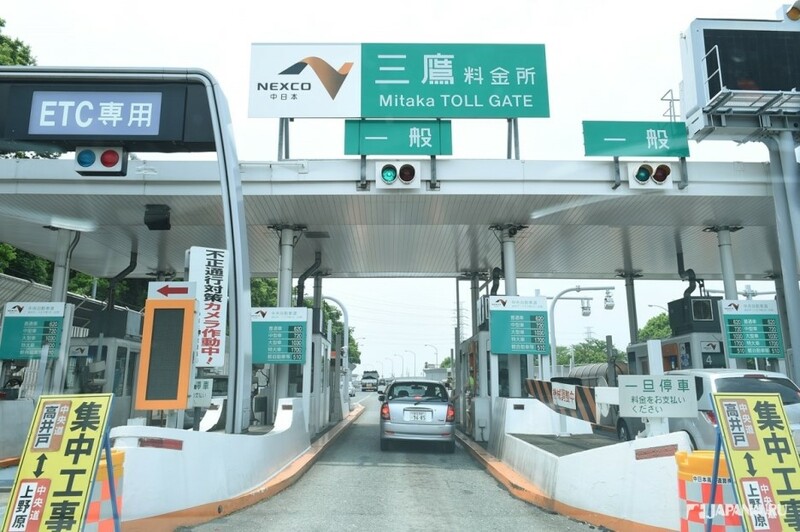 It is fun to experience the Service Area in Japan. Even there are travelers love to visit service areas throughout Japan. A variety of specialties and various souvenirs are available. 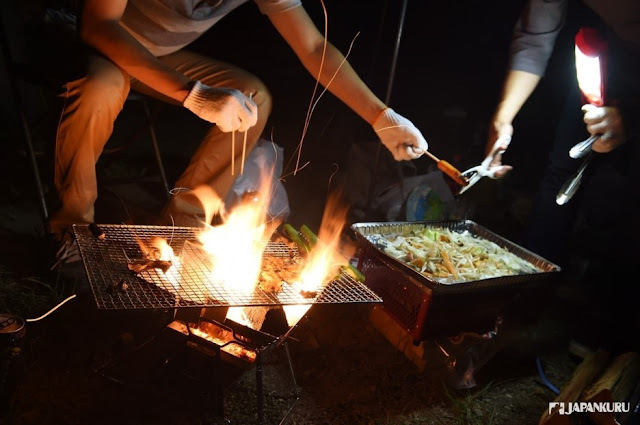 ▲ Yamanashi's famous dish "Hoto"
How can we miss "Hoto" on the way to Mount Fuji in Yamanashi. "Hoto" is like in-between of noodle and dumpling. 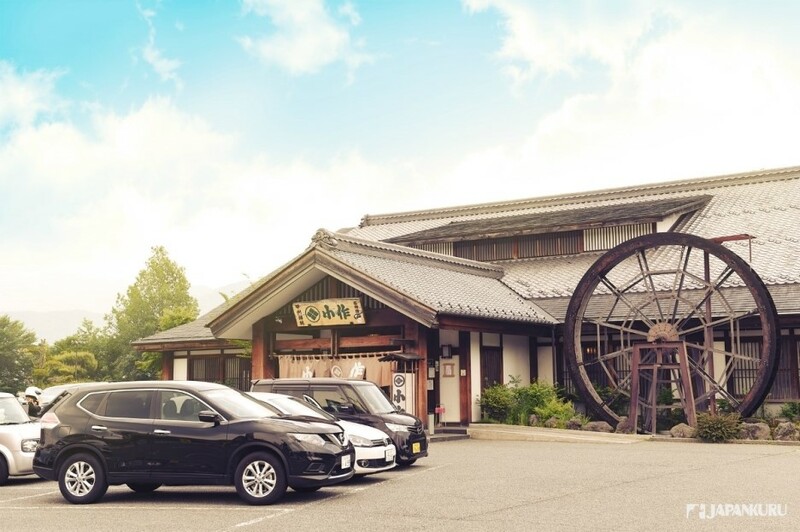 JAPANKURU would like to recommend you this place!! Nice place for lunch huh!! ▲ "Hoto" How is the taste ? Heard that it is spread to Japan by the Chinese monks. Since the generals of the Warring States(Sengoku) era, "Takeda Shingen" used it as the main food supply!!! 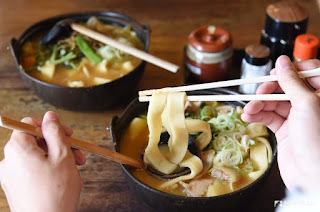 That is why this has become a famous dish in in the Koshu area of Yamanashi! A whole bowl of hoto is done! Wow!!! What a big bowl!!! Both noodle and soup are extremely delicious!!! let's move on the enjoy the scenery of Mount Fuji! So, how convenient to rent a car! The best view point of Mt. Fuji!!! What a convenient era nowadays!! it will bring us to go everywhere!! Oh!!! 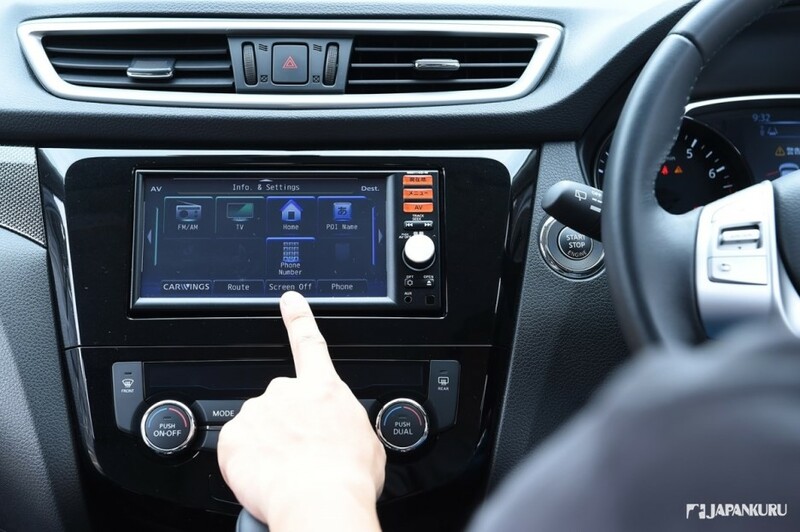 No doubt we are immersed in the high-tech world unconsciously! It was built in AD705. It is known as the best and holy view of Mount. Fuji!! 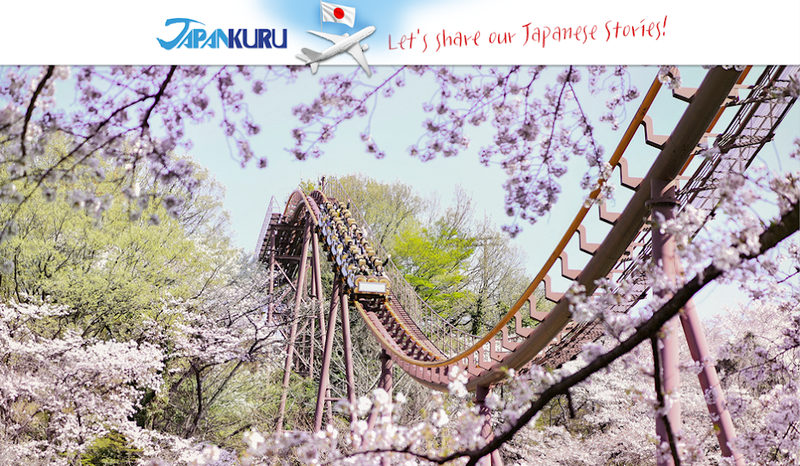 there are more than number of 300 cherry blossoms blooming in front of you! Wow!! What a gorgeous view with a distant snow-capped Mount Fuji! We gotta come back again!! No worry to be here by car. Come on!! All our JAPANKURU's buddies!!! Come here for some fresh air and take some memorial shots!!! ▲ Ready for camping ~! ! So we just get the minimum to meet our survival. This time, we visited the Supermarket called "MAX VALU" near Kawagushiko. Oh!! That is under AEON group!! 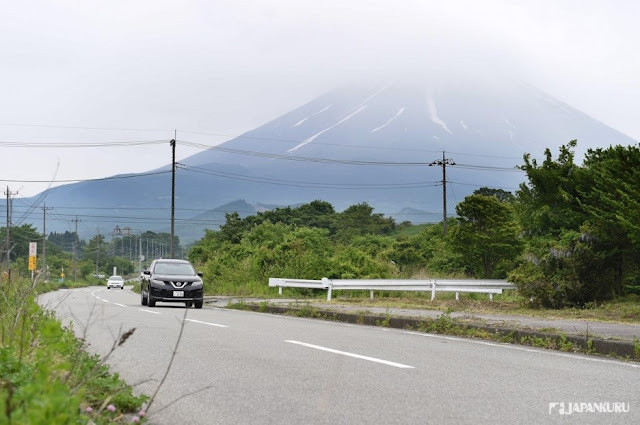 Let's get closed to the Mount Fuji!!! 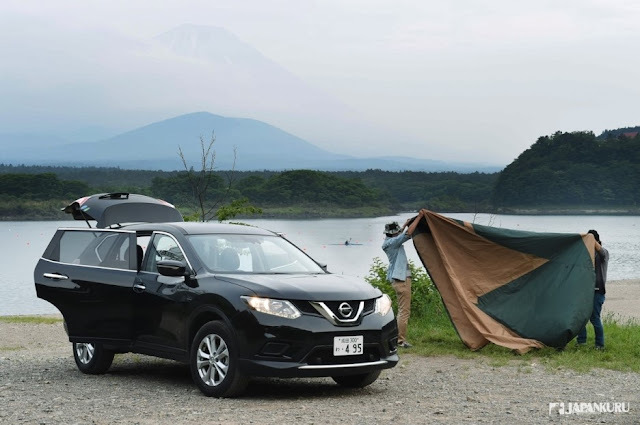 Camp site in front of Lake Shoji! You can see Mount Fuji from the front! Okay!!! Today, our camp site and cottage is here!!! For the tent, you can rent here too!! you might wanna buy one here!! ▲ A nice place for photography! so it has attracted many photographers to come here to record this majestic Mountain. 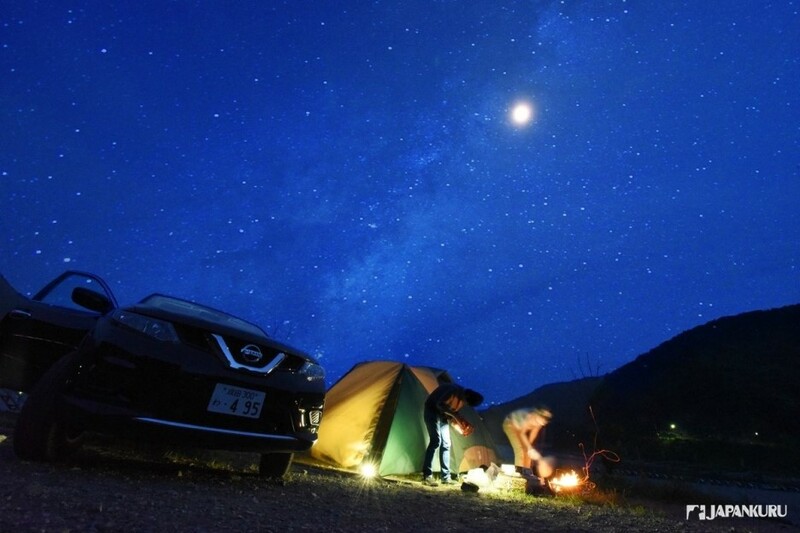 If it is good weather, you can see the view at midnight like the photo above. Can't you imagine your eyes??? 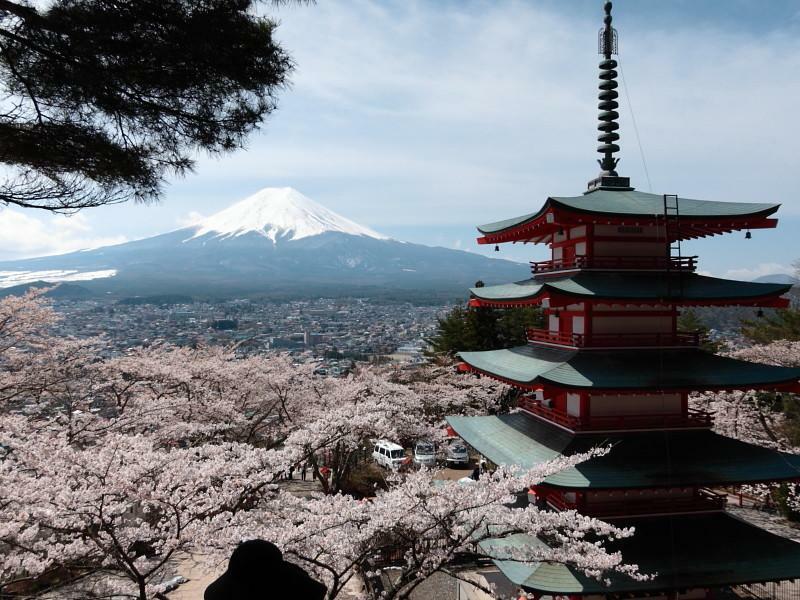 Mount Fuji, what a holy mountain!!! Experience can't be bought by money! Temporarily stay away from real life. Like getting into the state of the movie "Interstellar." All became delicious after grilled with charcoal firewood! Wow!! It sounds as if there is a chef of nature. 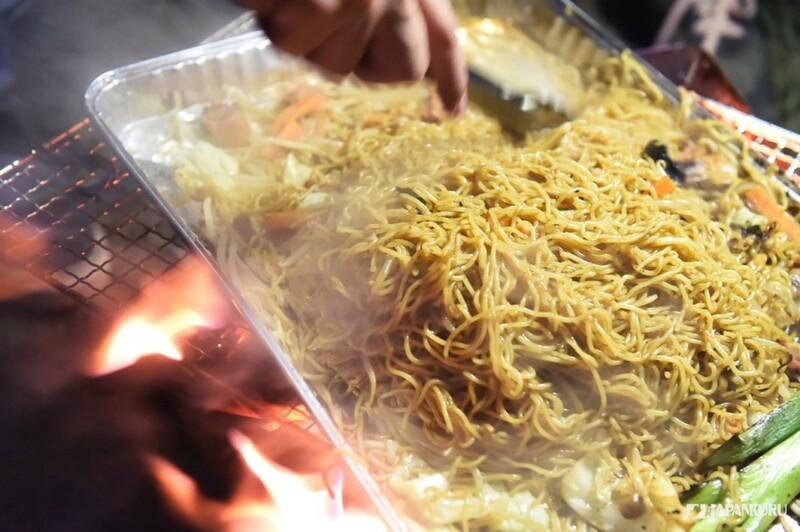 Instant noodles always became dish in restaurant of 3-star Michelin. Oh!!! We have no enough food!!!! 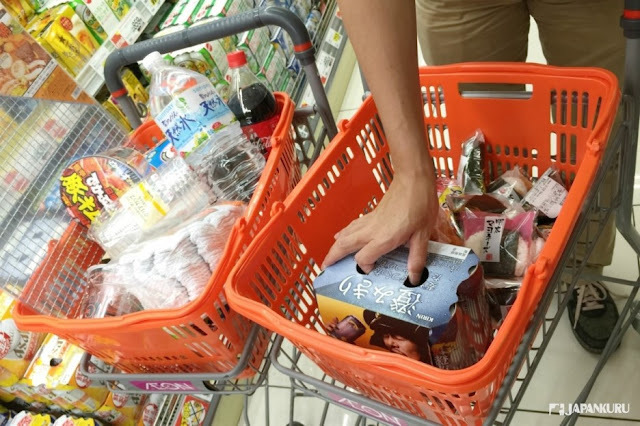 Glad that we put the noodles pack into the shopping basket!!!! ▲ Bright and shiny sky! Countless stars in the sky!!! Little voice is very clear in the silence of night! 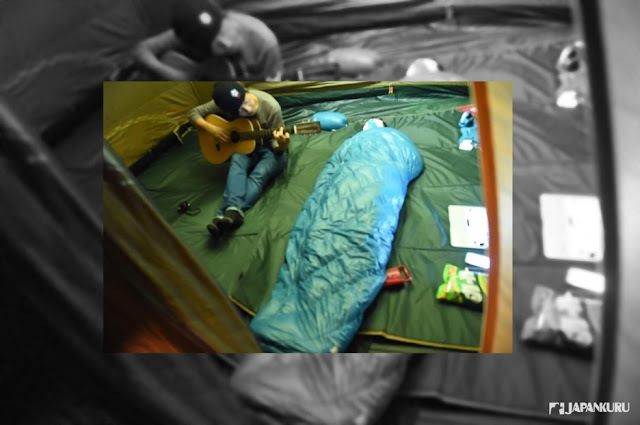 Campfire gives us the beat. Our guitar is the commanding role of the band! Welcome another morning of our rent-a-car travel!! Okay!!! Let's go to the Green tea field. Drop by a hot spring first! we will go through a Fujiyama hot spring near Lake Kawaguchi and Fujikyu Highland. let's take a nice showers!! 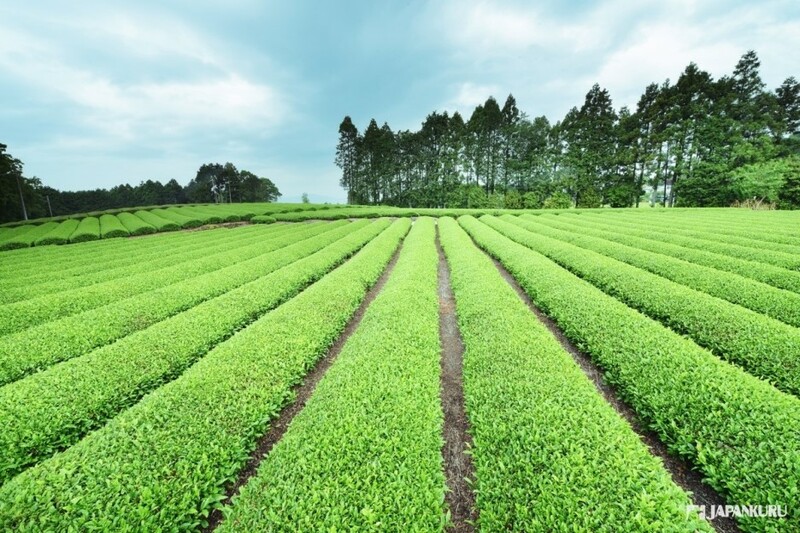 ▲ Shizuoka Green tea field. 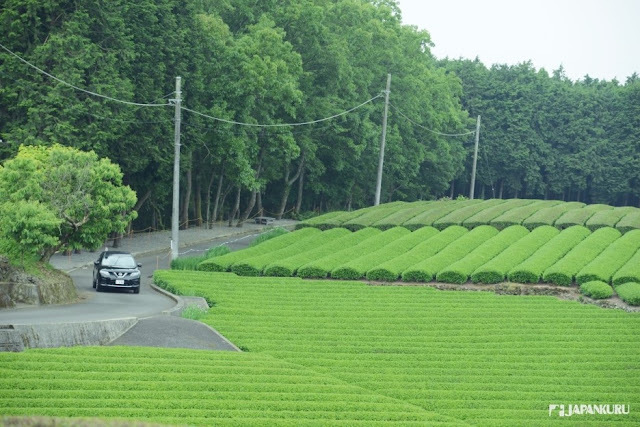 Longing to see this green tea field ! Oh!!! Unfortunately, we can't see Mt. Fuji today!!! Glad this scenery refreshing our sight and mind! Not only our secret base by the way. A lot of people come to visit and take pictures. Wow!! 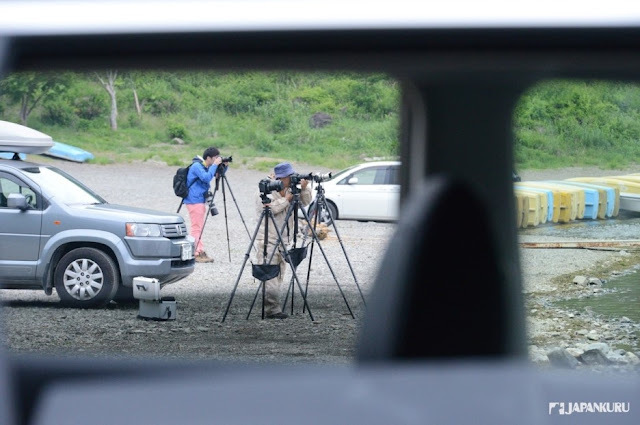 Here is the private parking lot for photography!!! Not a nice weather today! But let us get the power from Mt. Fuji! 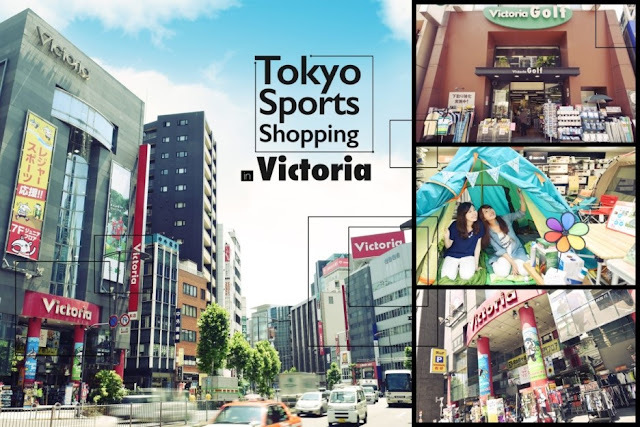 Let's go the largest scale shopping outlet. 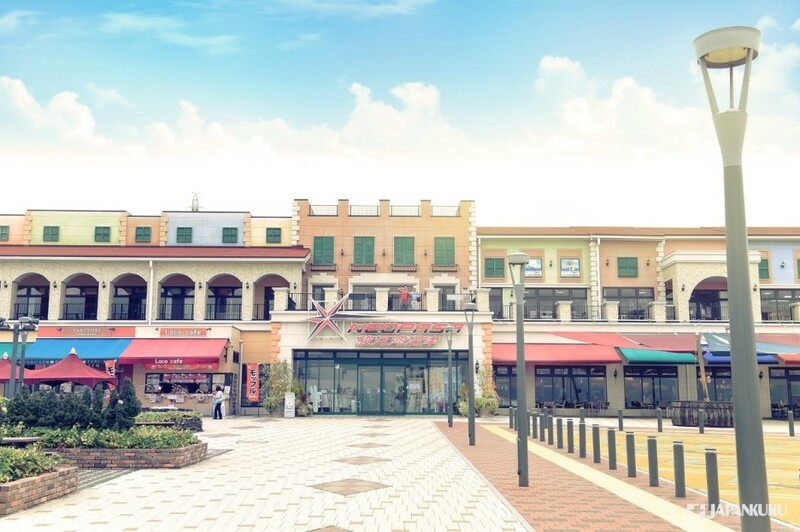 ▲ Gotemba Premium Outlet! ! We just tell you this is such a great place to visit it! This is really an awesome outlet! After visiting Mt. Fuji, come and visit it at least twice! Drop by a service area then!! A completed new service area! 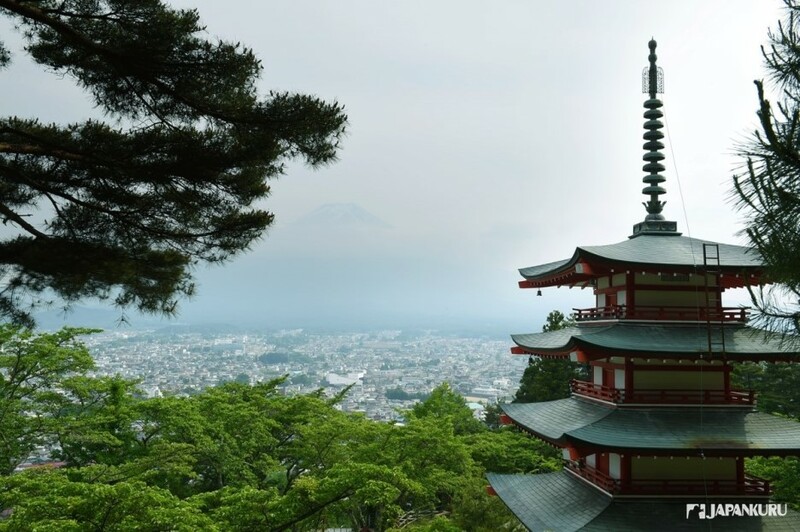 Its Japanese style is getting popular and focused recently!!! 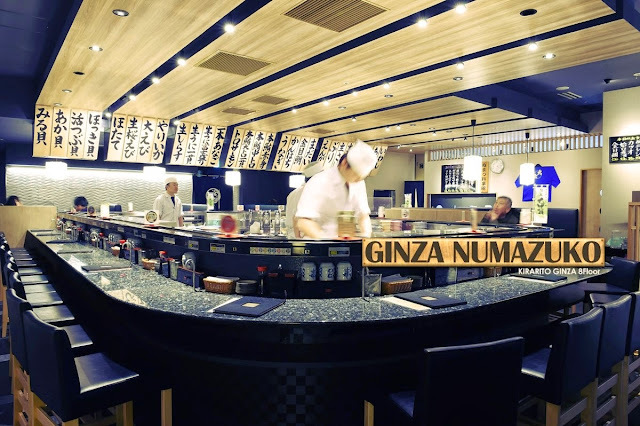 Speaking of Numazu, you don't wanna miss the most famous seafood!! Oh!! Don't you remember the Sushi store in Ginza we have introduced?? You don't wanna miss the seafood in service area then!!! The best seafood bowl rice we ever had. Anyway, it is worth to have a try! How short is the trip? One night, two days. Glad that we have rent a car to complete your trip!! Of course to for our tent site! It is a trip full of good memories! 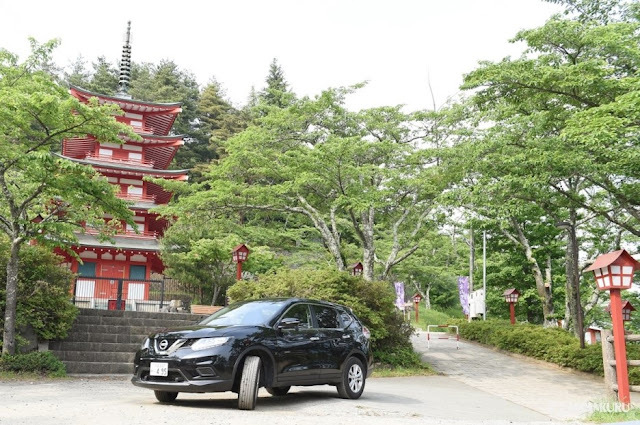 Rental car travel brings us to another level of Japan travel! You also wanna try huh!! Enjoy the pleasure of driving! Enjoy the Japan we don't know!